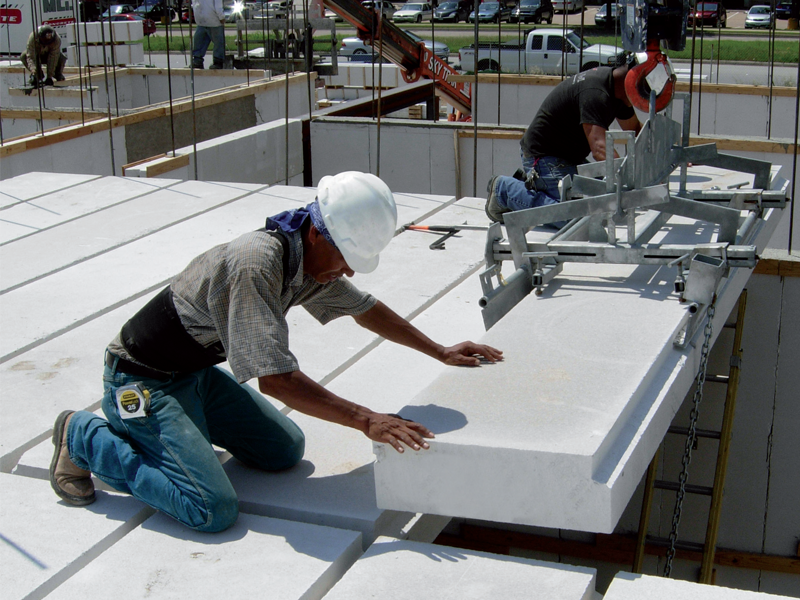 Hebel® Slab Panels are used as floor and roof simply-supported slabs on Hebel® Masonry Components or CMU load-bearing walls, wood, concrete or steel beams. These panels are used in residential, multi-family housing, hotels, offices and industrial buildings. Hebel® AAC meets the iverse demands better than any other material due to the numerous advantages of its physical, mechanical, energy efficiency and safety properties. Length: (2) Up to 20 ft.
(3)Nominal. Manufactured according to ASTM C1452.